Chantal Helene is an accredited hypnotherapist and Master Practitioner of NLP and was personally by Richard Bandler.at the NLP Institute in UK For those ever wanted to gain confidence and lose weight, Chantal specialises in the Virtual Gastric Band which is an alternative to the actual Gastric Band operation. How to discover your personal brand: Essential personal branding tips from Marilyn, Rihanna and Jay-Z. What personal branding tips can we learn from celebrities like Rihanna and Marilyn Monroe? I remember watching Oprah Winfrey interviewing Rihanna who sometimes gets labelled as the sexiest person on earth. In the interview, Oprah commented: “You look so comfortable in the role of being the sexiest woman alive” to which she replied “it is all part of my acting, but now I am being real”. I believe that she must have been practicing this act for such a long time that it became the norm. This interview also stuck in my mind because Rihanna came across as a very interesting individual who knew her stuff and as if she knew how to play the game. Just like Marilyn Monroe. I read somewhere that once Marilyn Monroe was walking down a busy store with a friend and no one recognised her. She then showed her friend how she could suddenly be Marilyn Monroe and she switched herself on. She was immediately surrounded by fans. It made me think in terms of: Yes, we can be good at what do but how can we come across as memorable. Why is it that those we label “as famous” always catch our attention? I believe it has to do with the power of Presence. Presence is felt through the body, our voice, mind heart and spirit; which altogether are the ingredients that will help you to reach personal branding success. How can you brand yourself for success with personal branding? Can you see yourself as a business, as Jay-Z clearly puts it: “I am a Business-Man”. As a well-known and successful musical artist, Jay-Z is a prime example of someone who knows how to harness the power of personal branding to achieve success. Know your genius – Genius is about knowing what you are good at and operating at that level so you others are captivated by your performance. You are a brand – just like a product. However, if you had a product to market you will need to know the product inside out, have faith in the product, and most of all know your market. The same goes for branding yourself. 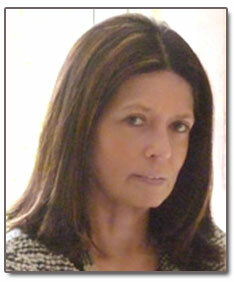 It is about knowing yourself inside out – knowing your strengths and weaknesses and knowing your passion. What are your key personality traits? How do others see you and relate to you? It is easy to forget that people do business with people they like. Are you kind and trustworthy? When people can sense you are the real deal, they will open up to you. When they can see you have their best interests in mind, they will trust you. Have long and short terms goals. Once you know your market, in terms of competition, get to know the marketing mix and see how you can apply it to your goals. For example, what is your Unique Selling Proposition? Be expert in your field. What is it about your brand personality that makes you noticeable and stand out from the crowd are the key ingredients to your success. Always have a 10 sec elevator pitch ready for use; apparently this is how Jose Mourinho got the job of Chelsea Manager. An elevator pitch is about describing to someone your area of expertise, your strengths; it’s about making an impact in 10 seconds, because you don’t know who you might bump into one day. Be prepared: You may find yourself needing to sell your brand personality to others out of the blue! A little exercise I get my clients to do is to think of someone they really admire, it could be a role model for example, and borrow from them. I am not saying you should change your persona completely because we are all unique! Once you have identified your role model, make a list of the personality traits of that person that captivates you. Once you have listed approximately 10 items, then delete the name of that person and substitute it with your own name. Review that list on a daily basis so it gets lodged into your subconscious! The mental pictures we have in your mind become imprinted by trust and always get manifested by the subconscious mind. Finally Robin Sharma, business coach observed personal habits in star performers and extraordinary leaders he has coached over the years. This is what he had to say about their successful personal branding, “They drive the highest quality cars, live in the best homes and wear the finest clothes. Their philosophy generally seems to be “I stand for being the best so it only makes sense that I should invest in the best” Now here’s the big idea: They held that belief even when they were not successful. Greatness is above all else, a state of mind. You need to believe in your potential and power before you can bring them to life. Share with us what your own personal branding is or what are your own personal branding tips for success? I would love to hear from you. It is amazing how we tend to deal with the physical aspects of keeping ourselves healthy (through diet, exercising which is at the physical level) and ignore the emotional, mental and spiritual dimensions. Through my research, apparently by developing and balancing all the levels we can manage and influence our own health and well being. Traditional medicine tend to treat the physical symptoms without addressing the other different aspects of life: Mental, Emotional, Spiritual and thus never reach the root causes of a problem that enable healing to happen. You would have read the article I wrote on my blog on the “power of the subconscious”, where I explained that the subconscious mind gets filled with beliefs we download from parents, teachers, and others who influence us early in life, filling our mind with the programs that will run our life unless we can reprogram the subconscious mind. Usually, by the age of six, these programs are written, and few people ever make the effort to examine and rewrite their subconscious mind. Given that we have no control over how this powerful part of our brain gets programmed when we were children, it is no wonder most people struggle to change limiting and self-sabotaging beliefs that can harm not just our health, but all aspects of our lives. The good news is that the brain can form new neural connections through Neuroplasticity. Neuroplasticity occurs when we practice and repeat doing things and eventually it just becomes automatic like a habit. As quoted by Dr Candace B Pert, Neuroscientist, in her book “Molecules of Emotions” By learning to bring your awareness to past experiences and conditioning memories stored in the very receptors of your cells, you can release yourself from these blocks, this “stuckness.” However, if the blockages are of very long standing, you may need help, through a healer, life coach or therapist, someone who can nurture you and help you in achieving such awareness. Sometimes, we tend to think that we are a victim of our genes. Science has proved that we can change how our DNA behaves. We used to think that diseases like heart disease, breast cancer, alcoholism, depression, if it ran in the family we would end being the victim of those genes. The study of Epigenetic is changing everything. Epigenetic means “control above the genes” meaning “The Mind”. Scientists have proved how positive and negative thoughts, beliefs, can influence how our genes behave. By tending the garden of our mind, we can influence how our genes behave. 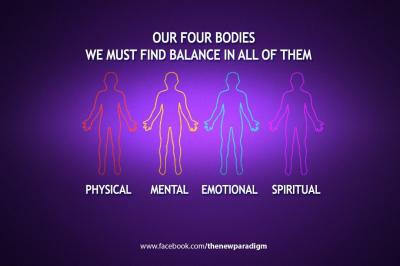 The 4 levels (Physical, mental, emotional and spiritual) which form part of our existence are interrelated and any work done on one level tends to affect the others. As we heal one level, we support the development of all the other levels. For example, if we work on emotional healing we release blocked energies, therefore by clearing the mental and physical levels as well. The more in tune we are with our physical bodies, the more energy we feel on every level. The therapy that I have developed is “Empowering Mind” it is also referred to as “Psychodynamic therapy” the therapy allows you to experience profound emotional and physical healing at the cellular level. In a session, you are led into deep relaxation so you can reach a Gamma brainwave state. Gamma is a brainwave state of “being in the zone”, that feeling that you can do anything. You are then guided to uncover any emotional or physical blocks that may be present. It’s really about reframing earlier experiences and once the emotions are accessed and cleared it will leave you feeling cleansed and with a renewed sense of joy, clarity and enthusiasm. You will be able to express all of your feelings, regardless of whether you think they are acceptable or not, and then let go of any attachments to them, through a clearing process. By letting all emotions have their natural release, the “bad” ones are transformed to “good” ones, and, we can then be liberated from suffering. Clients have reported that after a session they felt liberated from whatever was holding them back from living life to their fullest potential. The integration and balancing ourselves through spiritual, mental, emotional and physical, not only bring harmony and wholeness into our own lives, but also help to bring healing and balance to the world. The medical establishment trains us to believe that when we get sick, it is always because of something biochemical. I am not suggesting that people should withhold medical treatment, by no means. I strongly believe that the body has the capacity to enable spontaneous remission when we choose to live in alignment with our truth.